So for those of you who don’t already know, aside from being a family & personal branding photographer, I am also an ASA qualified Swimming Teacher, teaching for Aqua Jems in the UK and, for 9 weeks this summer, Ibiza Swim in Ibiza. I just love swimming. I learnt to swim with Swimrite in the UK, who I later worked for in my teens and early twenties, and I also swam for Wyre Forest Swimming Club (or Kidderminster Swimming Club as it once was) for many years. I may not have won medal after medal (spoiler : I only ever one gold medal – didn’t quite have the competitive edge!) but I LOVED it and made some lifelong friends in the process. And there’s nothing more rewarding than seeing a child swim their first width, enjoying the water, and most importantly, being water safe. And whilst in Ibiza, I had quite a few requests from parents wanting advice on getting their children water safe and swimming. This, coupled with hearing more than one tragic story of a child drowning, therefore compelled me to write this blog with my top 6 tips how, as parents, you can help get your child water safe. Swimming is a life skill. 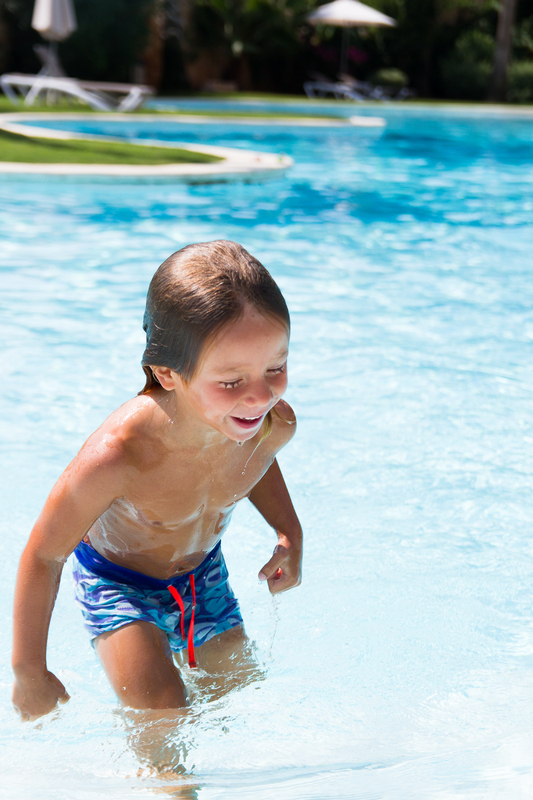 The difference between learning to swim and not can literally save a child’s life. 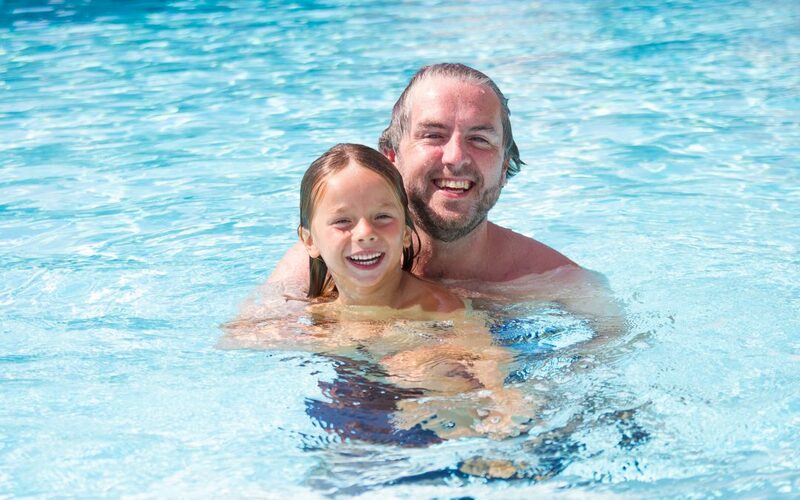 The younger you take your child swimming, the less fear they’ll have around water and the quicker they’ll progress in the long run as it should avoid a clingy-McClingy situation when you enrol your child in swimming lessons as the pool environment won’t be new to them. Parent unease in the water is often passed on to children so by taking your baby swimming at the earliest opportunity, you are giving them assurance water is OK and, in the process, hopefully improving your own confidence. Win, win! One of the fundamental things that stops children progressing is lack of water confidence. It’s therefore really important your child is super comfortable with water on their face WITHOUT GOGGLES. Sorry for shouting that last bit, but let’s face it, if your child accidentally fell in to a swimming pool or river, it’s highly unlikely they’ll have a set of goggles handy. So it’s imperative they’re comfortable with putting their face in the water as soon as possible, and preferably before you introduce goggles. The shower is a great way of getting your child used to water on their face. Or if you don’t have a shower, use a little watering can. And resist the urge to wipe their face afterwards!! I get a lot of questions about what type of swimming aid parents should use whilst teaching their children to swim. And it’s a difficult question to answer as it very much depends on the scenario. But, in an ideal world, the answer would be none. As with the example I used above regarding goggles, the same applies to swim aids. They give children a false sense of security and, not too dissimilar to dummies, kids can get quite attached to them! So I advise to only use aids that do not restrict movement of arms or legs and promote a correct body position. My preference is a noodle – of the long, foam variety – as it’s also easily removed to practice without during lessons, unlike swim vests or suits with flotation aids within them which can be a bit more fiddly to remove and refit. One thing I would say is if your child is having swimming lessons, try and stick to only the aids used in lessons so as not confuse your child as it can hinder their progression. Obviously, whatever aid you choose, it is just that. An aid. Never, ever leave your child unattended regardless of what swim aid they are using. Always be within arms reach of them at all times. Hold the noodle stretched out in front with both arms when swimming on the tummy to practice face in blowing bubbles whilst kicking the legs behind, splashing toes. 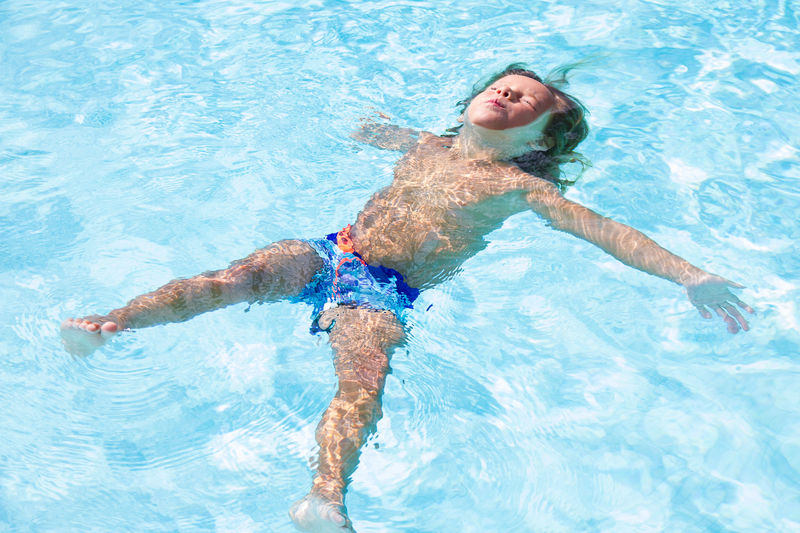 If a child’s legs are sinking whilst doing this, another noodle can be put under their tummy so they can feel what the correct body position should be. Knowing how to float on your back could save your life. The RNLI have been running a #floattolive campaign for this very reason (see video HERE). So getting your child comfortable floating on their back is really important. Many children don’t particularly like being on their back in the water initially – I guess it can feel quite odd – so start with getting them to try in the bath. Then in the pool, start with using a noodle, supporting their head on your shoulder, as per the photo above, and gradually move your shoulder (and the noodle) away. Once they are comfortably floating on their back, move on to getting them to jump in, bringing themselves to the surface in a star float. Tell your child to imagine they’re lying on their back in their bed as they will then associate being on their backs with comfort. I know, I know. I’m bound to say that, right? But let’s face it, kids generally aren’t all that interested in being taught anything by their parents, especially swimming as they’d much rather be having fun with you when you’re in the pool. 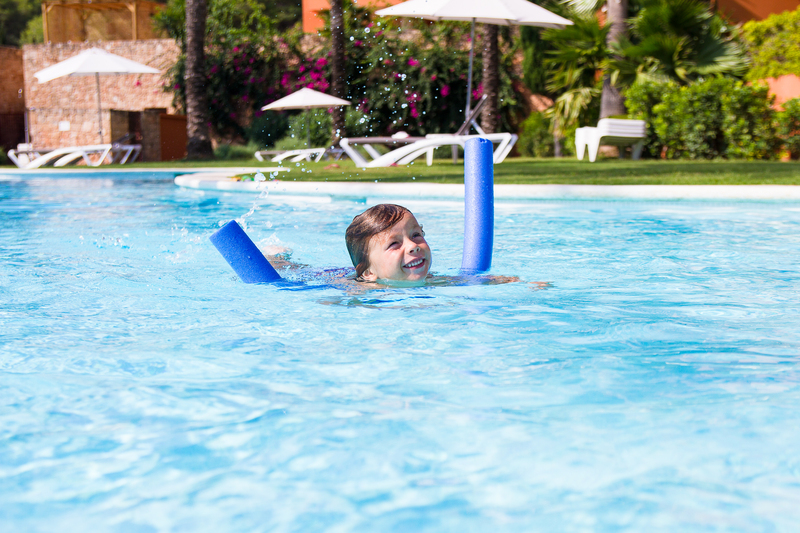 So, although all the above points are absolutely worth investing time in with your child, the single best thing you can do to get your child water safe is to get them swimming lessons. 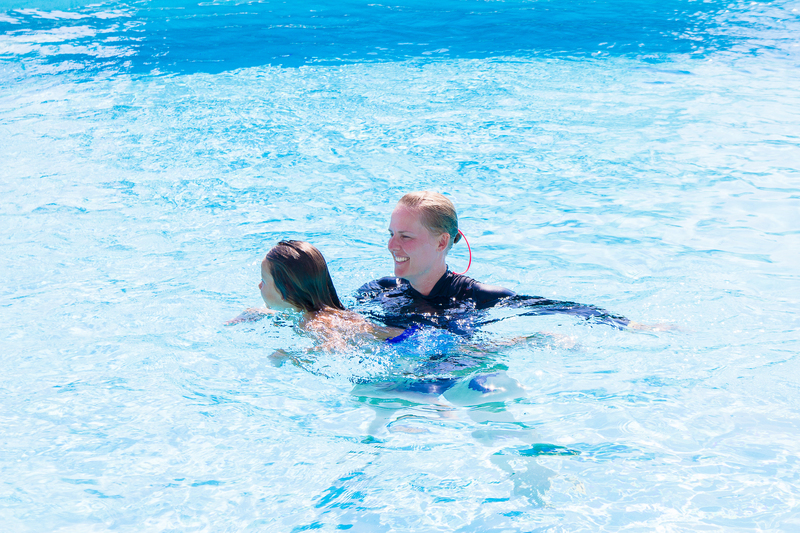 Start with Parent and Baby lessons which will also help with your confidence as a parent in the water if you’re a little nervous to take your child on your own. Do you want your child to ultimately be part of a swimming club? If so, then most clubs have a learn to swim programme which also prepares your child for competition and training. Above all else, swimming should be fun. More and more, swim school are moving to a more play based approach to teaching to keep children engaged whilst learning. It’s what I like to refer to as teaching by stealth. Lol! So turn learning activities in to games and be inventive with toys and pool equipment. These pool drinks holders worked a treat this summer as little animal boats for my pool toys. 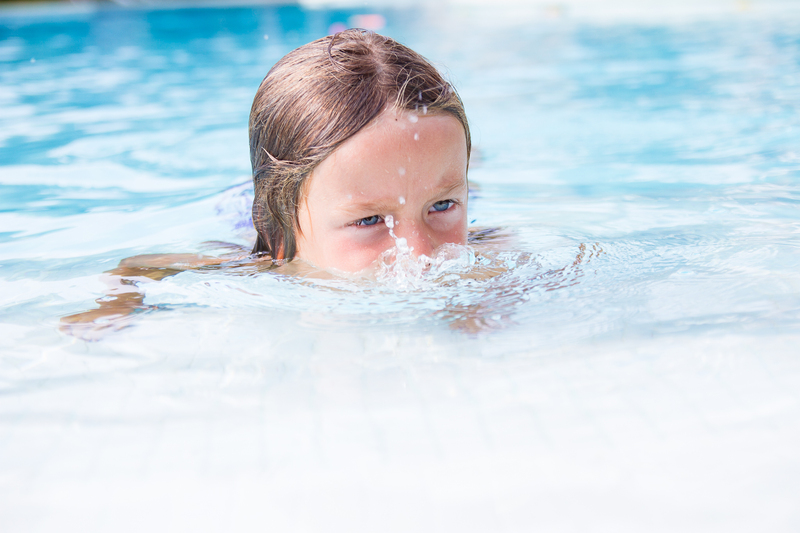 I hope the above is helpful and encourages you to don the cozzie or Speedos and take your little ones swimming – I can’t stress enough how important it is and how much it helps children progress in their swimming lessons and in getting them water safe. Like I say, it really could save a life so what more reason do you need?